On Saturday, December 17, 2016, Fr. 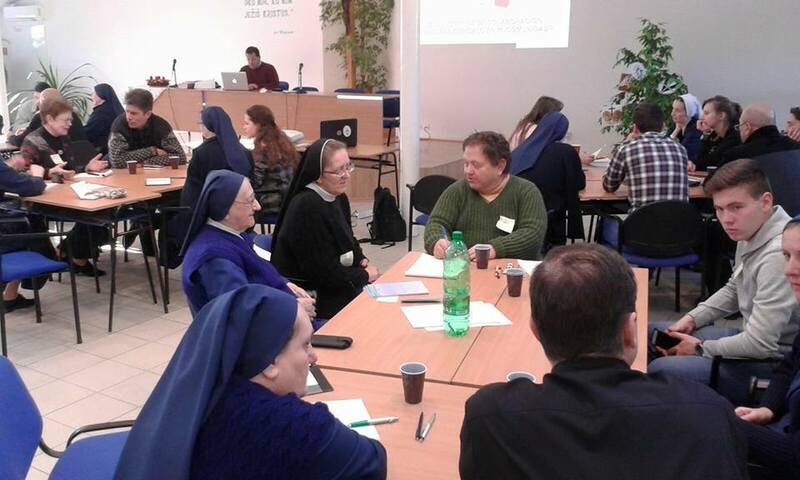 Joe Agostino, CM met with the leaders of the Vincentian Family in Slovakia. 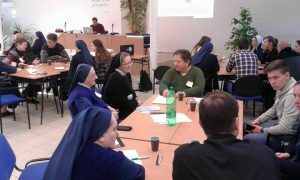 This meeting was preceded (and prepared for) by a 2 day Vincentian Family Collaborative Action Program (VFCAP) for 40 members of the Vincentian Family. Fr. Joe had been invited to come to Slovakia by Fr. Jaroslav Jaššo, CM, Visitor. We were warmly hosted by Sr. Damiana Pagáčová, DC, Visitatrix, and the Daughters at their provincial house in Nitra. A team consisting of Jorge Rodriguez (CM, Director of Communications, Rome), Yancarlos de Jesus Carrasco de los Santos (JMV, International President, Madrid), and myself facilitated the VFCAP which took place December 15 and 16). Before it (in Bratislava) and after it (in Nitro) we had the opportunity to explore historical areas of these beautiful cities. We were also treated to some wonderful experiences of the Advent Season, in the Slovakian tradition! On Friday night we passed by a parish in which the Vincentian Marian Youth were leading an Advent Eucharistic Adoration, which was quite beautifully done in both atmosphere and song. The meetings were truly multilingual events. The facilitators spoke in Spanish which was then expertly translated into Slovakian by Emil Hoffmann, CM and Pavol Noga, CM! The process worked quite well and everyone seemed quite comfortable and relaxed with it. Present for the Vincentian Family (VF) meeting on December 17 were the national leaders of the CM, DC, Sisters of Mercy of St. Vincent de Paul, AIC, AMM, SSVP, VMY, and MISEVI. They represented approximately 2,000 members of the family in this country. We began with introductions and descriptions of the work of the VF throughout Slovakia, as well as in the Czech Republic. Ministries to those living on the peripheries – abandoned youth, the elderly, those on hospice care, the education of hundreds of young people, and varied parochial ministries – are just some of the works mentioned. In addition, the family raises thousands of dollars a year for works in Haiti, Honduras, and the fight against hunger at home. After introducing ourselves to each other, the leaders spoke about their experiences working with each over the years. They described the relationship among the branches as marked by a great spirit of unity and sense of belonging to a family. They meet on an average of every 2 months as they continue to strengthen the bonds of collaboration among them. Fr. Joe was able to share with them the work of the Vincentian Family Office. Of particular interest to them were the suggested guidelines for the formalization of a VF National Council, which is the next project they hope to undertake. They also felt that the Office’s plan to have bimonthly Skype meetings with the VFCouncil Presidents would be quite useful for their own efforts. We were able to touch upon the remote plan for the pilgrimage of the heart of St. Vincent de Paul to take place in this region a few years from now. We had a spirited discussion around the celebration of the 400th Anniversary of the Charism as we shared our vision of the hopes and challenges which face us as a VF. 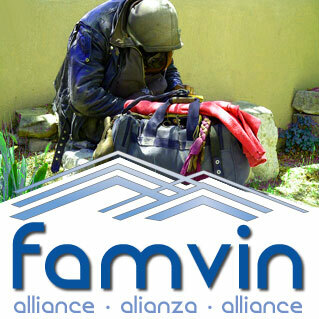 This easily led into a sharing around the areas in which they hoped to move in the near future, especially in the areas of a common VF project in the service of the poor and a more focused emphasis on advocacy for social change. 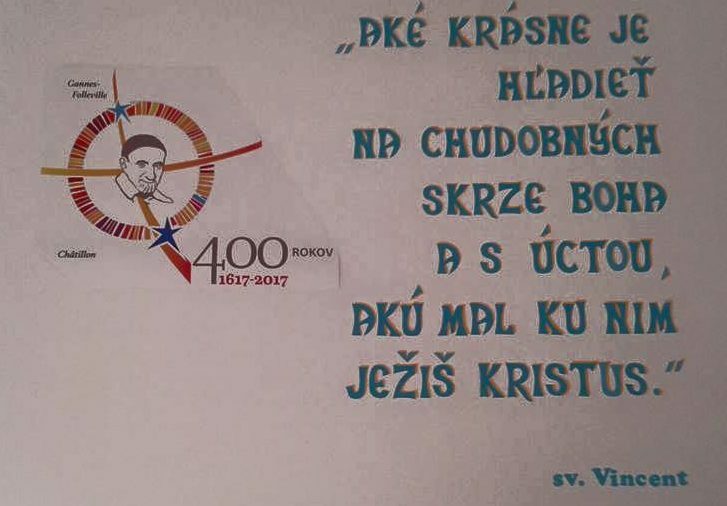 I very much look forward to receiving a copy of their plan for the 400th Anniversary, which is quite well organized, so that it can be shared with the entire VF. And we all look forward to the next opportunity to come together.